Three standard wheel loads normally specified for the Taber® Rotary Platform Abraser (Abrader) are 250 grams, 500 grams, or 1000 grams. This reference is per arm (not combined) and does not include the mass of the abrading wheel. 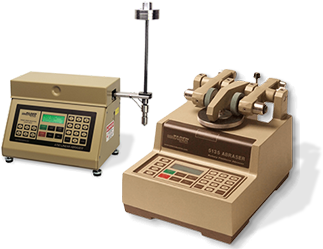 With no auxiliary weights, each abraser arm applies a load of 250 grams against the specimen. When added to the mass of the abrading arm, precision stainless steel weights provide standard wheel loads of either 500 or 1000 grams. An option weight set that provides a load of 750 grams per wheel is also available. 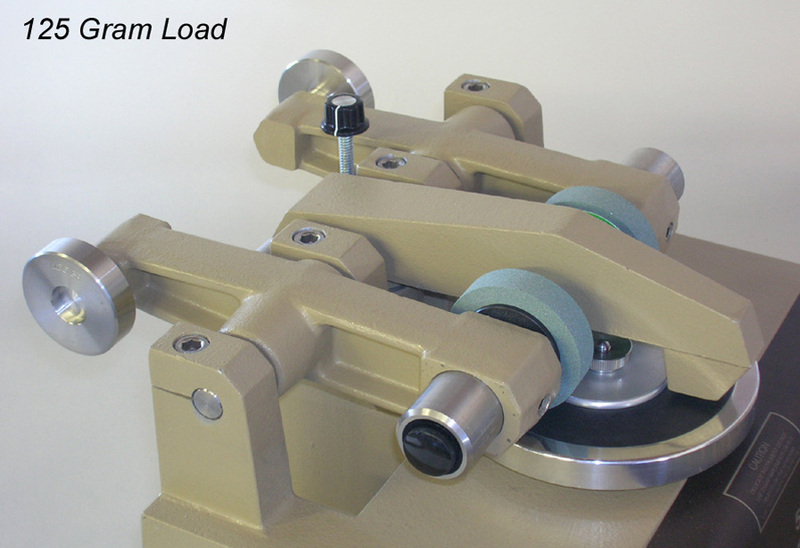 For simplicity's sake, each weight is marked with the total load that will be exerted on the wheel (the total of both the weight and the abrading arm). The weights marked 500 grams are actually 250 grams. Likewise, the weights marked 1000 grams are 750 grams. Counterweights are also available to further expand the range of wheel loads, and may be used in conjunction with the standard weights. Available in 50g, 125g, 150g or 175g configurations, counterweights are applied to the mounting stud found on the back of the abraser arm. To offset the weight of the working wheels, wheels may be placed on the counterweight-mounting studs. 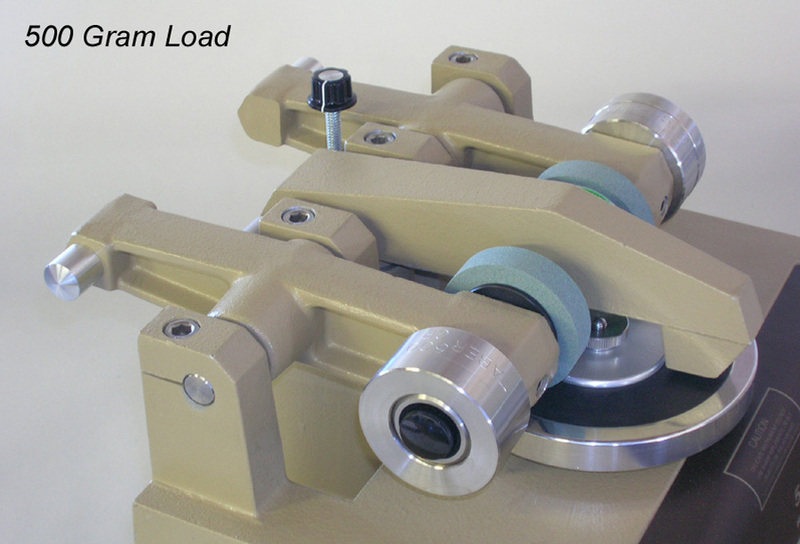 If no wheel loading is specified in the test method, an appropriate load may be determined through experimentation. For statistically significant results, it is recommended that a minimum number of test cycles (e.g. 100 - 300 cycles) be completed before the end point occurs.